The harshness of capital against life but Aracruz Celulose lost the FSC-certificate! On June 1st 2006, the Seminar on “The Rights of Indigenous Peoples and the Advance of Agribusiness: issues and challenges” took place in the town of Vitória, Espírito Santo, Brazil. The Seminar gathered the Tupinikim and Guarani communities and also other communities affected by large-scale monoculture tree plantations, in addition to various sectors of civil society in the State of Espirito Santo, for a thorough reflection on the subject. Speakers from several parts of the country and from the State of Espirito Santo were also present at the Seminar. The first debate, which focused on the issue of the demarcation of the Tupinikim and Guarani lands in Espirito Santo, noted that the indigenous communities have been waiting for almost 40 years for a final decision on the land conflict with the company Aracruz Celulose. This company continues to invade 11,009 hectares of lands that belong to the Union (Brazilian Federal State) allocated to the exclusive and permanent use of indigenous peoples, according to technical criteria established in Brazilian legislation. But as stated by the speaker Bishop Tomas Balduino, the ‘harshness of capital against life,’ has enabled this conflict to continue until today. – The Minister of Justice must sign the Demarcation Decree within the established period of 30 days, without demanding new studies. A second debate during the Seminars discussed the complete lack of suitability of the present development model which follows the advances in Brazilian rural areas of large-scale monoculture tree plantations, such as eucalyptus, pine, soya and sugarcane. 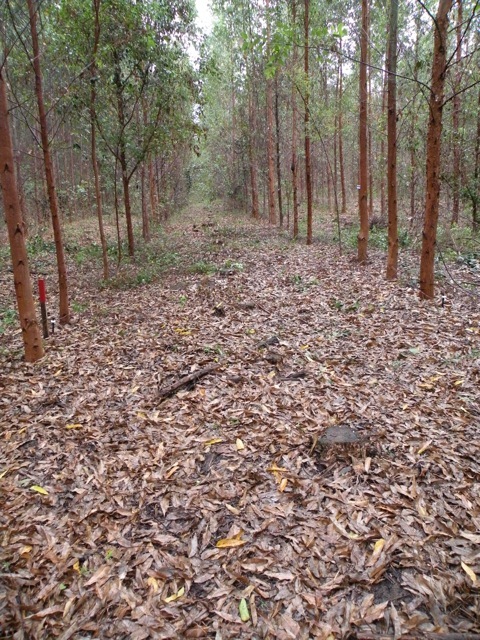 The reform of this model is urgent, beginning with the financing of productive activities on totally different bases, giving priority to life, to diversity and to the people and communities affected by large-scale monoculture tree plantations, especially women who are those who most suffer from these impacts. Aracruz Celulose was invited to the first debate of the Seminar, but preferred to remain outside the public debate. In a letter the company communicated to the organizers that it had “decided to safeguard its right (…) in the field of the judiciary, which is an impediment to expose itself in a public debate’. A chair was kept empty during the debate, making the arrogance and cowardice of the company even more explicit. Furthermore once again we denounce Aracruz Celulose´s aim of attempting to disqualify the current administrative procedure for land demarcation by stating its intention to go to court against a governmental decision in favor of indigenous rights. This would be frontal disrespect for the Brazilian Constitution and for ILO Convention 169. This disrespect will not go by without denunciation! We also would like to say that, by evading the debate, Aracruz does not assume the attitude of a certified company and, in fact we learnt that day during the Seminar that Aracruz Celulose is no longer a FSC (Forest Stewardship Council) certified company. The FSC is presently the most respected certifier in the world regarding certification of ‘forest’ management units, including monoculture tree plantations. It is important to make clear that Aracruz had ‘purchased’ this certificate when, in 2003, it acquired about 40,000 hectares from the Riocell company in the State of Rio Grande do Sul. 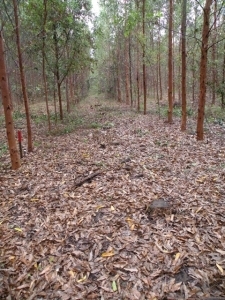 This company had succeeded in having its plantations certified by the FSC in 2001. It should be remembered that it was Aracruz itself that tried to get the FSC certificate in 1999 for its eucalyptus plantations in the state of Bahia. However, at that time a strong and massive mobilization of organizations, communities, movements and citizens prevented Aracruz from succeeding in obtaining the certificate. At that time and with this orchestration and others, the Alert against the Green Desert Network started its existence. To compensate for the loss of the FSC-certificate, the company started to invest in a certificate known as CERFLOR (Brazilian Programme of Forest Certification), a public/private certificate that does not even deserve a minimum of credibility, because its principles and criteria are not made public but need to be bought at Internet and its procedures do not have significant civil society participation. Nevertheless, by buying Riocell, Aracruz Celulose succeeded in what it so much wanted: the FSC certificate. However, the constant denunciations of the violation indigenous, Afro-Brazilian quilombolas and peasant community rights, in addition to environmental crimes, ended up by costing the company a high price. At the beginning of May, the personal visit by two Tupinikim and Guarani representatives to the International Secretariat of the FSC finally motivated the FSC to commit itself to carry out an investigation of the case and to take a stand. The positive result of the commitment taken on by the FSC was, in fact, Aracruz Celulose loosing the certificate, although the company announced that they had ‘demanded the canceling of the FSC-certificate’ themselves. In this respect, the negative result is that FSC and the certifying company Imaflora/Smartwood made a pact, with this honorable way-out for Aracruz, instead of applying a delayed punishment to the company that, for three years, succeeded in maintaining in the region where it operates a certificate that demands respect for the rights of indigenous peoples and their lands, while in another region where it is active it violates these same rights. 1. FSC – Why did FSC allow Aracruz to bear the FSC-certificate since 2003 while it was occupying indigenous lands? Why was it that FSC did not act after the indigenous communities self-demarcated their lands in May 2005, and after they were violently evicted from two villages in January 2006, when the Guest House of Aracruz was used as Federal Police Headquarters and as a police station where two Indians were kept prisoners for several hours? Does FSC believe that such a company deserves this certificate for even one day? 2. Aracruz Celulose – if the company is publishing the news that there had never been Indians on their lands, if it affirms, with such conviction that it legally bought its lands in Espirito Santo, including those which are indigenous, why did the company decided to desist from the FSC-certificate? 3. Imaflora/Smartwood – Why is it that Imaflora/Smartwood did not study the Aracruz Celulose Company when it bought up the Riocell company? Why did it allow Aracruz to hold the certificate for about three years while occupying indigenous lands in Espirito Santo, even though there was much public information about the issue on the Internet? We expect public explanations from the three actors involved in this issue. And we hope that in future FSC will no longer give permission for the certification of forest management units of companies which violate human rights and/or jeopardize local communities, be these indigenous, quilombolas, fishermen or peasant communities. The time has come for FSC to promote good diversified forest management with benefits for all. For this purpose FSC has an excellent opportunity at its disposal with the current international revision process of the organization of practices for the certification of tree plantations.